Some days eating dairy-free can be a little heartbreaking. It was my birthday this weekend and we went for a nice dinner and almost every item on the menu had dairy in it. My son ended up eating roasted cod with sweet and sour beets. While it made be super happy that he was eating these things it struck me a little sad that he couldn’t enjoy his favorite foods, like pizza and chocolate cake. I felt so bad for him that I came home determined to find a rich, decadent chocolate dessert that he could enjoy without relying on dairy products. I’ve made a cake with avocados but the one time that I attempted a pudding I didn’t care for the result. 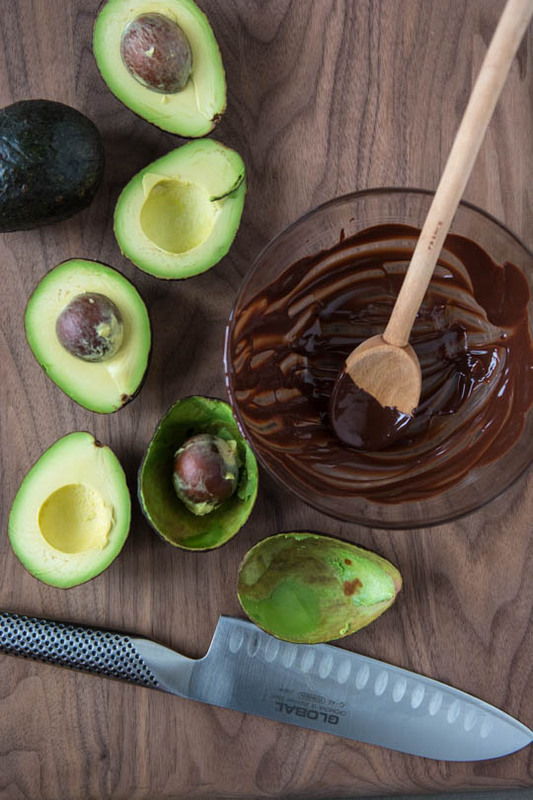 The avocado overpowered the chocolate and I decided that it wasn’t for me. Flash forward a few years and I was ready to try again. 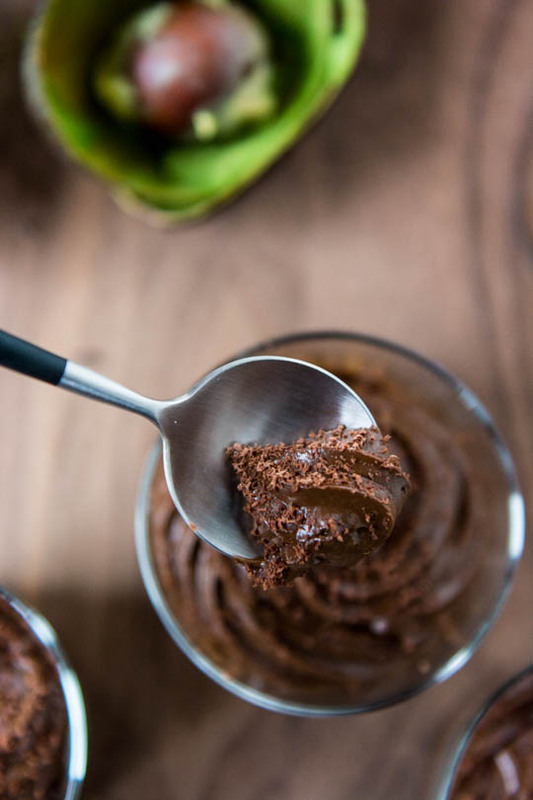 I found that the addition of a little coconut milk really improved the quality and texture of the mousse. 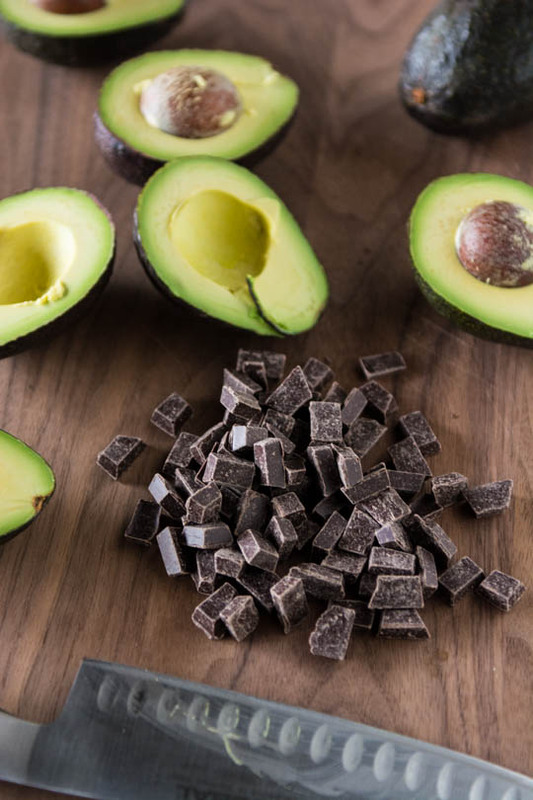 To keep it vegan make sure to source a dark chocolate that is dairy free. A lot of Theo’s chocolates are vegan but be sure to check the label before using. 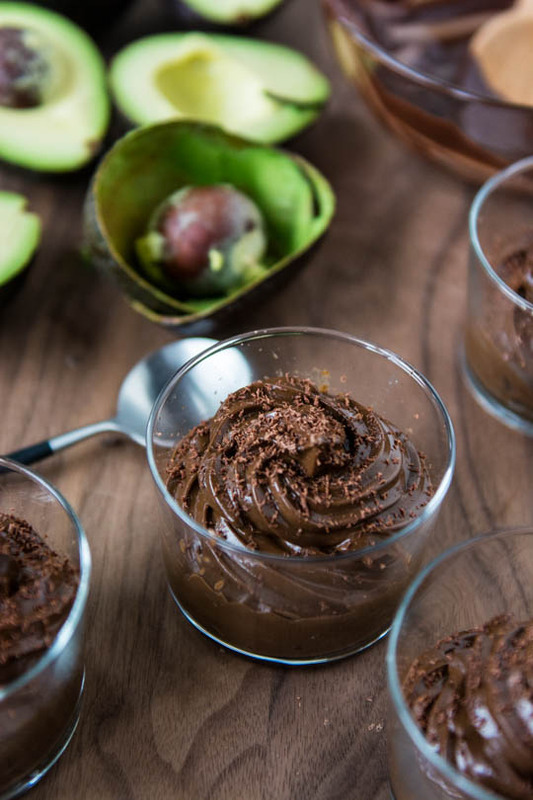 This is a much healthier version of chocolate mousse since there are no refined sugars and you get lots of healthy fats from the avocado and chocolate. I think that this will be a new weekly staple in our house when we are looking for something sweet. 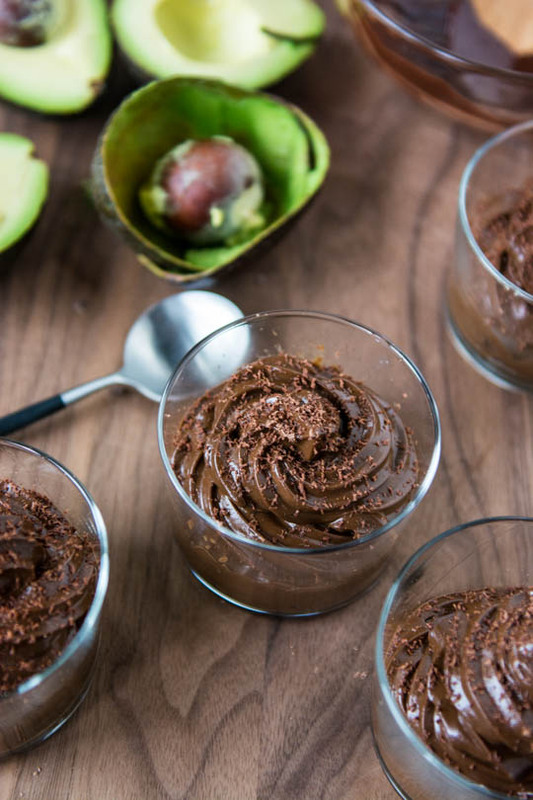 Only a few simple ingredients and you'll have the most decadent delicious dessert ready in no time. Fill a small saucepan with a few inches of water and bring to a simmer. 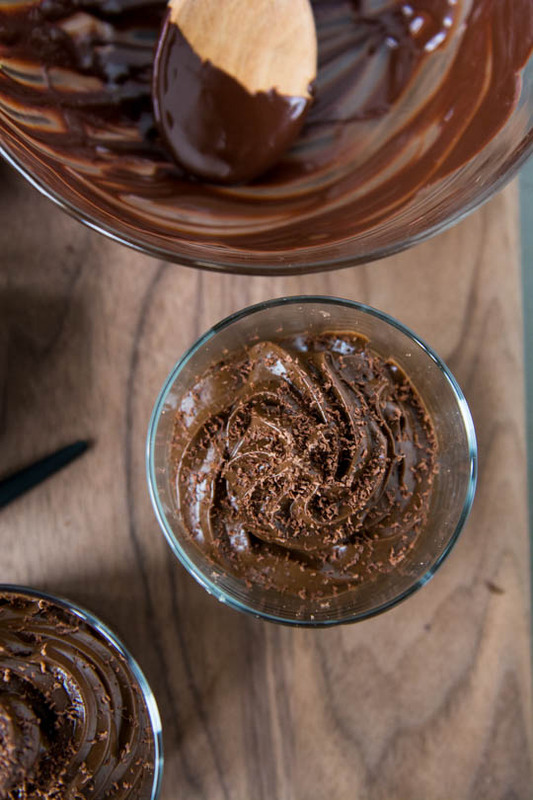 Place the chocolate in a heatproof bowl and set over the water until melted and smooth. Set aside for 5-10 minutes to cool slightly. In a high-speed blender or food processor place all the ingredients and blend until smooth. If the mixture is too thick to blend, add a tablespoon or two of additional coconut milk until the desired consistency is reached. Refrigerate the mixture for 30-45 minutes until it is chilled. You can scoop it into bowls as is or for fill a pastry bag with a large star tip and pipe into small bowls for a more decorative look. 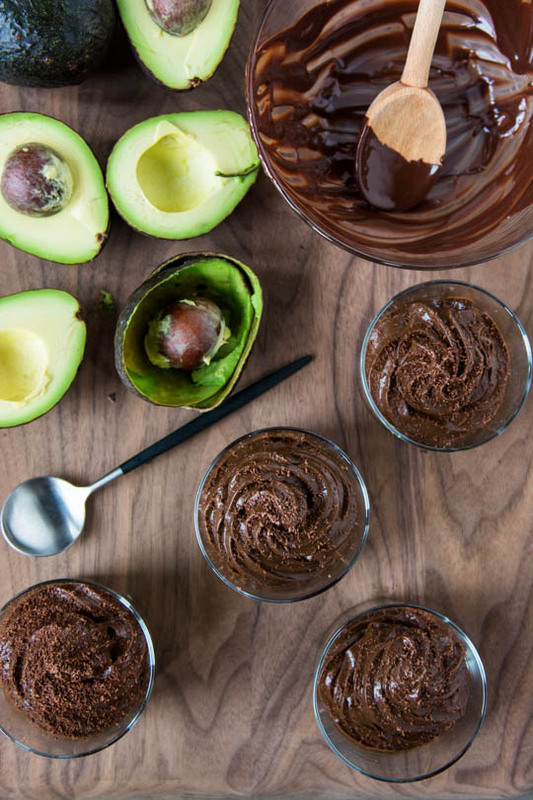 Serve with a light dusting of cocoa powder or some grated chocolate. I’ve made it twice this week so far and we can’t seem to get enough. I think I’ve finally found something that will satisfy my son’s dairy cravings! I hope you like it if you try it! 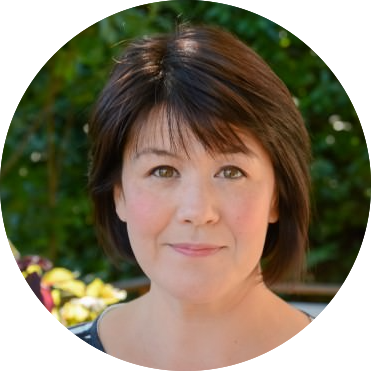 Could you give a weight measurement for the chocolate? I’m really not sure what two cups of chocolate would be. This sounds so good! The recipe calls for 1/2 cup of chocolate chips which would equal about 90 grams or 3 ounces of chocolate. Hope that helps!